In our December issue, we share the 50 things every Portlander must do when winter arrives. Here are a few bonus ideas for cold-weather inspiration. Weather a wild winter storm—in front of a fireplace. Not all storm watching requires getting drenched. 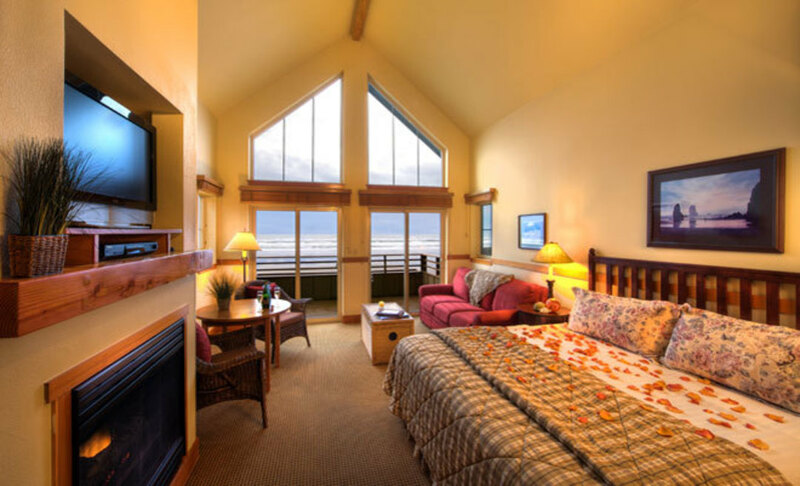 In the Ocean Lodge’s beach-facing rooms in Cannon Beach, oversize windows and strategically placed gas fireplaces create your own dry, cuddle-friendly theater on the dramatic gales and surging tides swirling about Haystack Rock. And if you do brave the frightful weather outside (we recommend a trip up to the jetty at Fort Stevens, where a viewing platform puts you in what feels like the eye of the storm), you can recover with a leisurely soak in your bathroom’s sizable jetted tub. Indulge your inner bookworm in an international architectural treasure. Alvar Aalto designed only two buildings in the US: one at MIT, the other just 38 miles south of PDX, at the supremely under-the-radar Mt Angel Abbey Library. To fully appreciate the lauded Finnish architect’s handling of the natural light, go on a rainy day, grab a tome (a 16th-century Book of Hours, perhaps? ), settle into a chair from one of the largest collections of Aalto furniture in North America, and soak in the skylit glow. The hilltop views of the valley, however, require a walk—to one of the building’s smallish windows. This is a modernist church of the book.